Get a Reliable and Affordable Skip Hire Service Today! 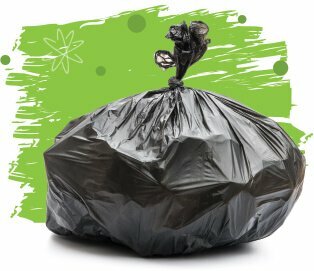 Do you need to clear your house but you need to hire a reliable waste clearance company in London? Do you want to find a service that’s affordable, reliable and chosen specifically for your needs? Do you have lots of items to recycle, and want to find a large vehicle, or perhaps a smaller and cost-effective one if you’re disposing of a few items? Hiring a recycling vehicle is quick and easy with MCDonnell Skip Hire, and our professional team members in London are just waiting to help you find the perfect vehicle for your house clearance! Stop worrying about your clearing day and get the vehicle that you need by calling our company today on 020 8746 9691! When house clearing, many people ask themselves “Do I really need to book a waste clearance service?” Even if you have your own vehicle, there are many great reasons as to why it’s more efficient for you to hire a vehicle for waste clearing day in London. If you’ve tried to recycle for good before then you probably already know how much of a nightmare it can be. Driving with your waste piled up to the ceiling isn’t only a hazard, but it also means that your items aren’t securely categorised when in transit. The last thing you want when you're recycling is to mix all of the plastic and glass together! Book a waste clearance service from our company in London, however, and you won’t need to worry about anything! Our waste clearance company has lots of services to offer and we have what it takes to help you dispose of everything, whether you have old heavy equipment and appliances! Our professional waste collectors can help you to find the right vehicle for your needs by assessing how much it is you have to dispose of, so that you won’t need to worry when the day comes! Want to be able to clear in just one visit? You can find the perfect service by calling our waste clearance company right now! Booking a waste clearance service in London doesn’t need to be expensive, and if you book yours from our company then it won’t be! We work to bring you competitive prices that are great if you’re on a budget, and lots of people choose our affordable service every single day! MCDonnell Skip Hire strives to bring you great-quality services at budget-friendly prices in London, so that your clearing day won’t have to cost you the earth! With no hidden fees and no unseen costs, we’re the best option for you if you want a waste clearance service! Make your house clearer and get a lot of free space by making sure that you have the perfect waste clearance for your needs. Get in touch with our company today and we can help to ensure that your waste clearance day is as easy as you want it to be! Pick up the phone now and give one of our team members a call on 020 8746 9691 to find out more information about our service and prices.